At least 27 Qatari hunters – including members of the ruling family – have been kidnapped by gunmen in a desert area of Iraq near the Saudi border, say police and the local governor. The attackers were driving dozens of four-wheel drive vehicles when they swept into the hunters’ camp at dawn on December 16, officials said. They struck near Layyah, 118 miles from regional capital, Samawa. A wide-scale search has been launched for the attackers, police say. The Qatari foreign ministry released a statement saying it was working with the Iraqi government “at the highest security and political levels… to find out the details of the Qatari citizens’ abduction and work on their release as soon as possible”. The statement said they had been hunting with official Iraqi permission – though Iraq’s interior ministry accused the hunters of failing to abide by its instructions to remain inside secured areas. The aim of the abduction was “to achieve political and media goals”, the interior ministry said. The remote area where the incident took place is highly tribal in nature and a Shia region. The Shia political parties which dominate the Iraqi government are highly critical of Qatar’s role in supporting Sunni rebels in Syria – so this is bound to be a serious diplomatic incident, he says. Two Iraqi officers providing security for the party were also taken by the gunmen but later released, officials said. No details were provided on which members of the Qatari royal family were among those held. 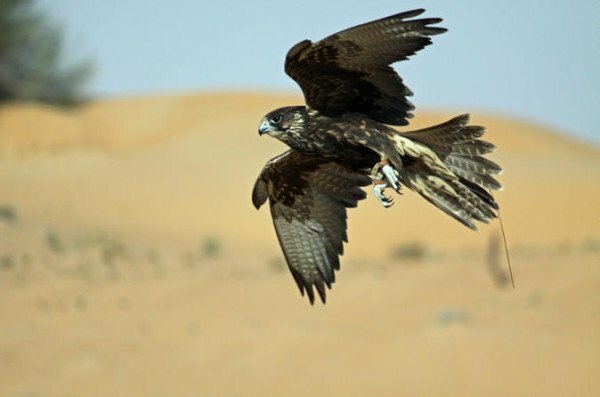 Wealthy practitioners of the ancient sport of falconry from various Gulf states often travel to the area at this time of year. The hunters had been escorted by Iraqi security forces but they decided not to engage a large number of gunmen, a police colonel from Samawa – the capital of Muthanna governorate – told Reuters. “We are talking about at least 100 gunmen armed with light and medium weapons,” he said. More than 12 years after the US-led invasion and occupation, Iraq is still plagued by violent crime and militant attacks.